"Memory foam 'Dry Feel' & Soyabean extracts!" 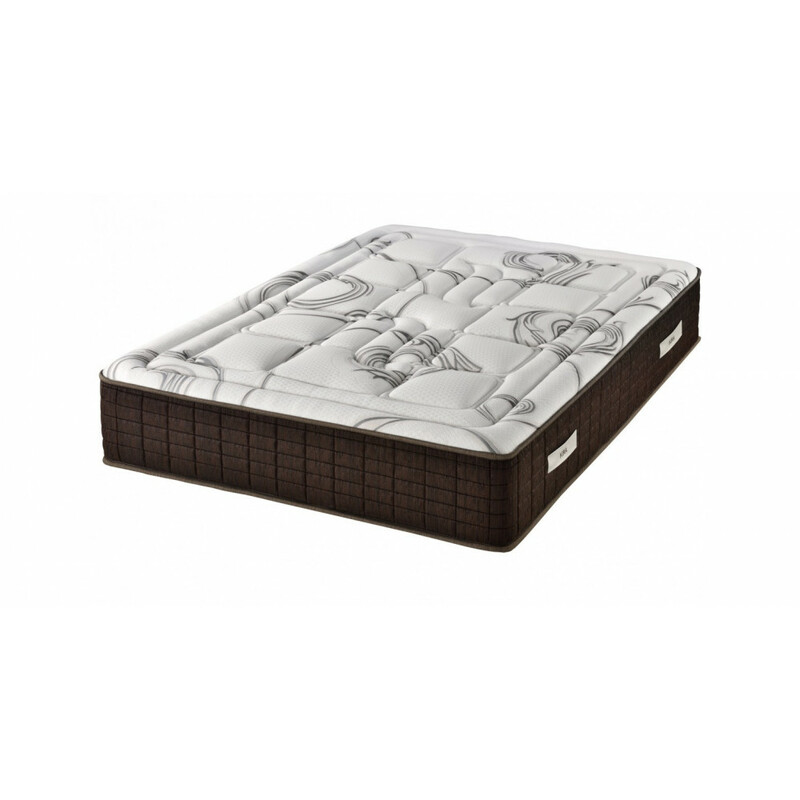 This mattress has been made using the highest quality Viscoelastic 'Sensus' Memory Foam ® & Soyabean extracts. Scientific research has clearly demonstrated the healing properties of Aloe Vera on the skin. Aeration channels, for an adequate evacuation of heat and humidity. Top face with a profiled design that favors blood circulation, minimizes pressure and improves comfort. Winter face in Stretch fabric, padded cover with 2 cm Viscoelastic Sensus ® Soybeans thermovariable and breathable plus hypoallergenic fiber. Summer face in 3D Space fabric that facilitates perspiration and self-ventilation, padded with hypoallergenic fiber of 300gr. Chenille woven platform of 500 gr with decorative handles. "Memory foam 'Dry Feel' , Soyabean extracts!"